I want to thank May May for creating a YouTube tutorial on this cute basket. 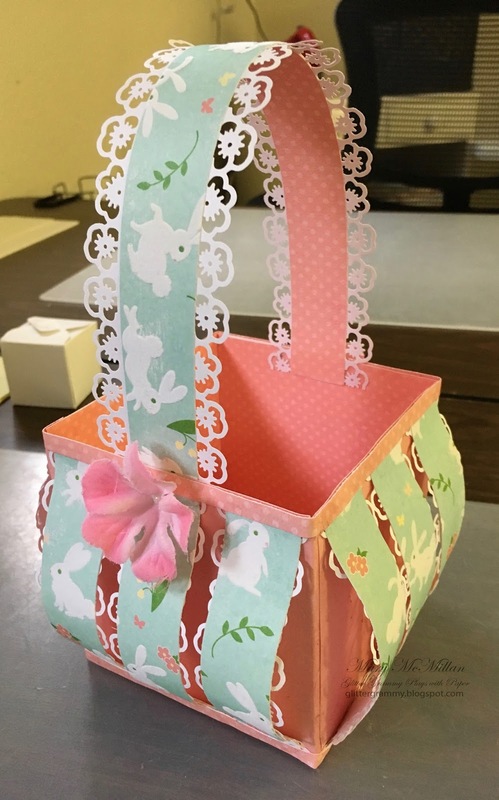 The finished basket size is about 4 x 4 and holds many treasures! 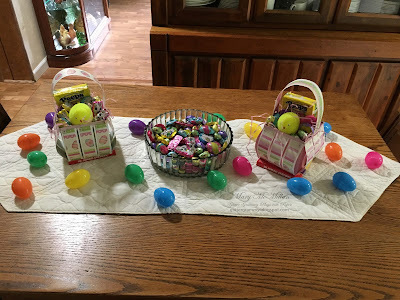 This basket was super easy to make and really quick. The top basket took a bit longer because I used a border punch on all the white pieces. You kind of play around until you get the size that will fit. If you need a quick project....this is a good one. Off I go. On to more playing with paper. I hope your day is creative no matter what you are doing.